Just 4 miles from Maybole in Ayrshire is Culzean Castle and Country Park, one of Scotland’s most popular tourist attractions and definitely well worth a visit. My first impression was that the entrance fee was a bit pricey, but after I had taken the woodland walk I didn’t grudge one single penny, it was that good. It’s a garden lovers paradise. Culzean, (pronounced Kuh-lane) is a magnificent building on the outside, like a palace on the inside, and has been awarded a five star rating by Visit Scotland. Originally built as a stone tower house in the late 1300s, Culzean was designed by Scottish architect, Robert Adam in the 18th century. It was commissioned by David Kennedy, the 10th Earl of Cassillis who wanted a bachelor pad to entertain his friends. Building work was completed in 1792 but the decoration continued until 1795. The Castle was built on a cliff top, above a network of caves, and given its location, not surprisingly became a centre for smuggling. One of the apartments in Culzean Castle is named after former President of the United States, Eisenhower, who stayed there. The ‘General’ first visited in 1946 and He stayed there four times in all, including once during His Presidential term. The Castle was first opened to the public in 1945, under the care of the National Trust for Scotland. The country park was created in 1969, Scotland’s first, and hosts many events including children’s activities, music festivals and Scottish country dancing. Culzean Castle is also available for accommodation and wedding ceremonies, and within the Castle you will find a good collection of pictures, an armoury with hundreds of pistols and swords, and 18th-century furniture. 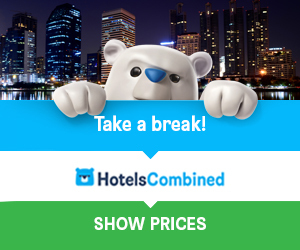 Your tour offers a choice between a visit to both the castle and country park, or just the country park on its own. 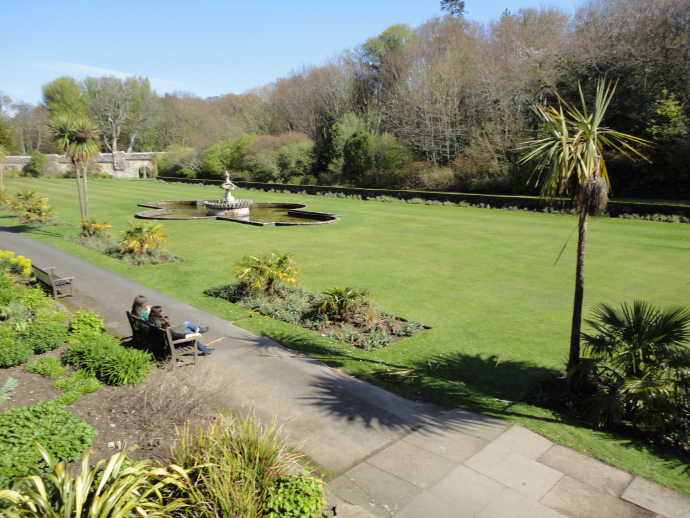 The Country Park, with over 500 acres surrounding the castle, offers a variety of countryside to explore, including woodland walks, a Swan Pond, and cliff top walks, although you should be aware that the cliffs have a 150ft drop into the sea below. When you pass under the clock tower, you arrive at the castle shop, and further on, the cafe in the old stables. Hailed as one of the finest Georgian castles in Scotland, there’s also a visitor centre, ranger service and two restaurants serving excellent food. It wouldn’t be a true Scottish castle without a ghost story, and Culzean has many. One ghost is thought to be a Kennedy ancestor, a ghostly piper, who plays the pipes in the castle grounds in celebration of the marriages of Kennedy Clan family members. In 1976 two tourists reported seeing a misty shape moving up the oval staircase, and this could be the ghost of a princess who was killed in the Green Room, and who now haunts the castle and rearranges the furniture. This has been sighted many times. Another is a supernatural knight who abducted a young heiress and held her captive in the castle. This may be confused with a true story, as May Kennedy from Culzean was abducted by Sir John Cathcart, and she pushed him to his death on the cliffs. 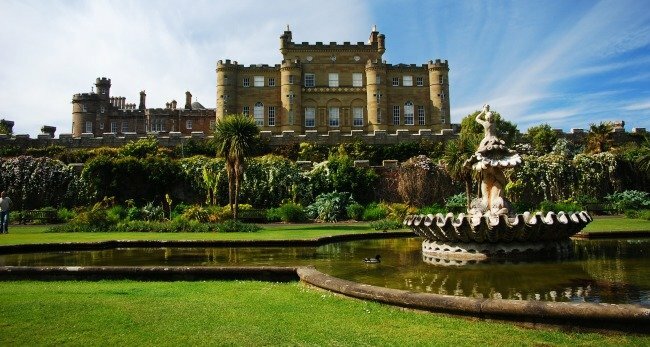 Culzean Castle is the most popular National Trust for Scotland’s property with about 200,000 visitors each year, and Ayrshire, world famous for its legendary golf courses, also has some great fishing, cycling, horse-riding, and woodland walks on offer.